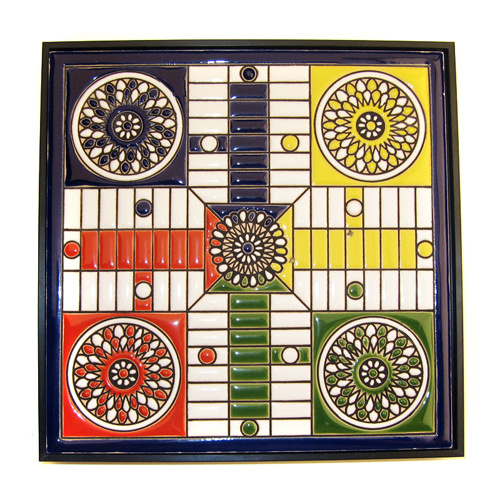 Spanish Handmade tile "PARCHIS" game with Enamels, accessories are included. 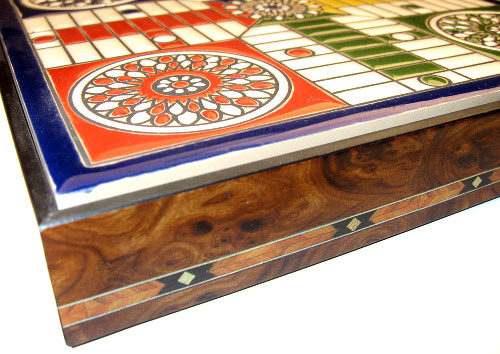 It really is a unique piece made in Spain, following the famous antique "cuerda seca" technique just the way it was practiced in the 15th Century. 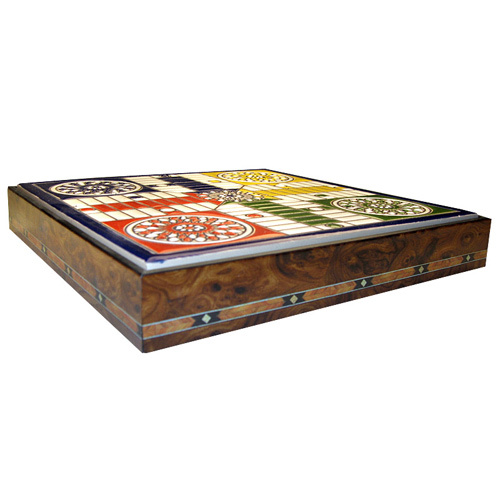 It will Decorate your table or any surface with a unique style and taste.